a. What we say here stays here? This is essential if we are to develop a trusting group. 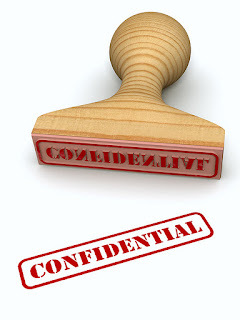 Many people assume that elders, preachers, and other leaders will keep confidences. This is where people are often hurt. Assuming is not good communication. Too often Christians don’t keep personal matters confidential. I like to talk about it. What does it mean “What we say here stays here”? What if we discuss the weather or read John 3:16 in the group? Can we not take that out of the group? In our staff meetings at Berry’s Chapel, we developed the “church bulletin rule”: if we talk about something in a staff meeting that we would print in the church bulletin, we can talk about it out of the group. If we wouldn’t print it in the bulletin, we won’t carry it out of the meeting. If there is any question, it is best to check with the person or people to whom the information belongs. b. Will I take care of myself, telling the group only what I trust them to keep? After we have established this rule, I encourage new members to doubt that as long as they need to doubt it. Anyone can say what we have just said, “What we say here stays here.” I believe that faith grows through “creative doubt.” Creative doubt is doubt that asks questions and sincerely wants to know the truth. It is my observation that it took about two years in our Third Monday Workshop to establish trust in the group where we could talk about serious, personal issues. After establishing that trust in the core group, new members do not seem to diminish the readiness of group members to discuss what they need to discuss. Since August of 1988, I don’t know of a matter getting out of the group. That’s powerful! That’s encouraging to have that kind of support group.